The World Bank said that the Palestinian economy is now facing a severe shock in regard of public finances as a result of Israel’s approach over tax revenues, calling for an urgent resolution of the crisis before it deepens. This came in a report that the World Bank has prepared on Wednesday and is due to be presented to the Ad Hoc Liaison Committee (AHLC) at its next meeting in Brussels on 30 April. In February, Israel decided to deduct around $10 million a month from the revenues — the sum the PA paid families of prisoners or prisoners themselves serving time in Israeli jails — prompting the Palestinians to refuse any funds at all. “Against a background of declining aid flows, the recent standoff stemmed from Israel’s unilateral deduction of US$138 million from the PA’s clearance revenues in 2019 to offset estimated payouts to Palestinian martyrs and prisoners’ families,” the report noted. “The dual-use goods system in its current application limits economic diversification and sustainable growth in the Palestinian territories. A revamp of the application of the restrictions on dual-use goods is critically needed,” added Bjerde. Israel: Have You Looked At The Sky Today? Recently, someone in my neighborhood in Tel Aviv has been spray-painting the question, “Have you looked at the sky today?” on walls of buildings and at the dog park and local train station. Have you looked at the sky today? It’s a reminder to take our eyes off the phone in our hands, and look up, for a moment, to see what’s going on around us. Over the past two months, I found myself lifting my eyes to the sky more and more, as I followed the trajectory of Beresheet’s elliptical path to the moon. 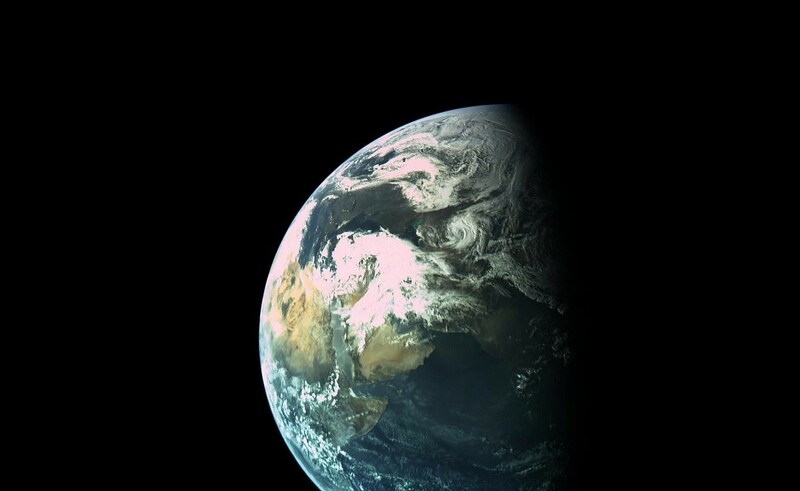 Over the same two months, as Israel has been wrapped in a divisive election and an almost-war in Gaza, a group of passionate engineers has tried to shift the entire country’s gaze towards the sky, to see the universe beyond the borders of our country and our planet. 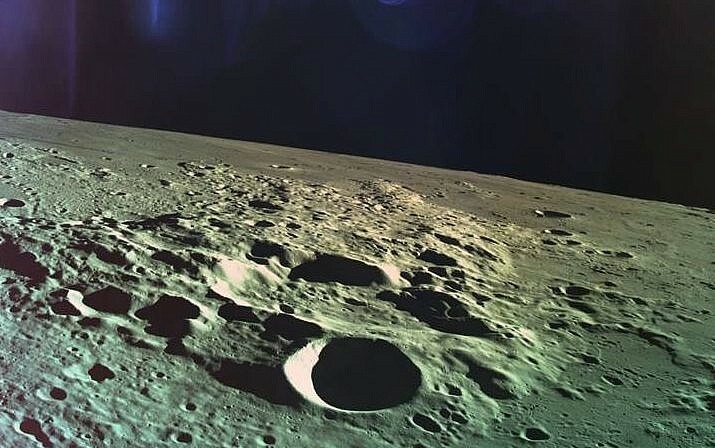 As we and the world watched on Thursday night, holding our collective breath in anticipation for Israel to become the fourth country to land on the moon, Beresheet smashed into the lunar surface, scattering into thousands of pieces. The landing sequence started so perfectly, with a large cheer going up as the spacecraft passed the point of no return, meaning the automatic landing was engaged, and there was no turning back. But then communication with the spacecraft started going in and out. Things got tense, but it was happening so quickly that the evening’s emcees, Ido Antebby of SpaceIL and Opher Doron of Israel Aerospace Industries, barely had a chance to explain what was going on. The main engine stopped working, and then miraculously, started working again. Some people in the audience clapped, but Ehud Hayun, a space systems engineer at IAI sitting next to me, already knew it was over. The spacecraft was too close to the surface to properly slow its descent and drop gently to the ground. 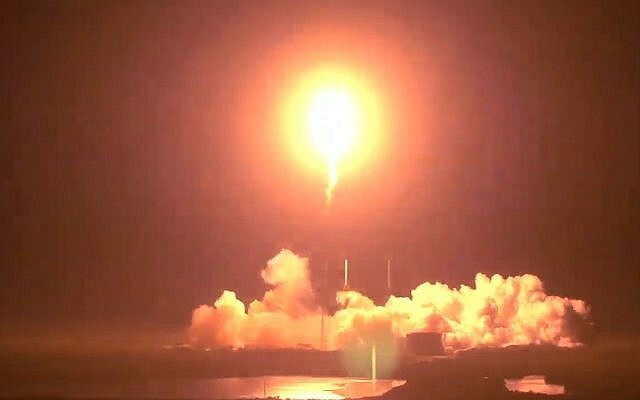 “There is a concern that we haven’t landed in the best possible way,” Alex Friedman, the systems engineer manager overseeing the control room observed dryly at 10:24 p.m. The engineers, stoic as always, barely registered emotion, as it became clear that their project, which some had worked on for upwards of eight years, had smashed into the surface on which it had been supposed to settle. Have you looked at the sky today? Have you looked at the moon? Somewhere, up there, are the remains of a crazy idea that was hatched by three friends at a bar in Holon, that somehow, along the way, garnered $100 million in donations, harnessed a team of dozens of engineers, and captured the attention of Israel and the world. What does it mean to fail? What does it mean to have the courage, the audacity, to stand up and say, why not? Why not try and get to the moon? Over the past two months, as I followed every hiccup and maneuver and selfie of the spacecraft, I found myself not just immersed in the day-to day news of this country, but looking up at the sky and remembering that this country is a small dot on a tiny planet amidst an entire universe. It’s the smallness I used to feel devouring my father’s battered copies of Isaac Asimov’s science fiction: how beautiful it is to dream about what can exist beyond our horizons. How crucial it is to remember how small and unimportant we are. How beautiful to know that there is more out there than what we can see. More than a million students in Israel spent class time learning about Beresheet, either through presentations from SpaceIL’s army of educators (the non-profit organization employs more educators than engineers), or the educational kits available for free on SpaceIL’s website. Even writing articles, I learned so much more about space and physics than I ever thought I’d know. At some point, in between a conversation about the perilune (closest point of the elliptical orbit around the moon) and the apilune (farthest point of the elliptical orbit around the moon), and trying to clarify between geostationary and geosynchronous orbits, I realized that despite my defiant insistence to the contrary, my 10th grade geometry teacher Mrs. Haupt was right. One day, I would need to know basic geometry. My neighbor, Yisrael, doesn’t understand what all the fuss is about. He can’t get over the price tag: $100 million! What about all the hungry people in Israel? he asks. 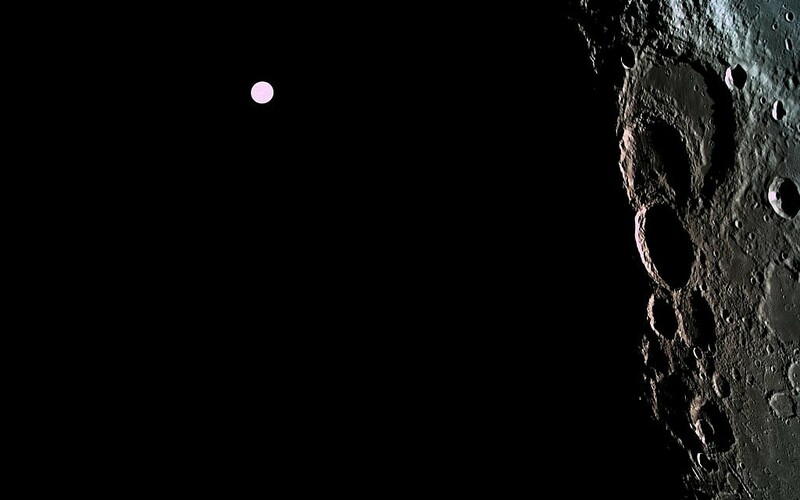 Never mind that Beresheet cost a fraction of the estimated $1.5 billion for each Apollo mission. Why not take that money and build a hospital or something more practical? Yisrael has spent his entire life working with his hands, building things, creating concrete objects you can touch. 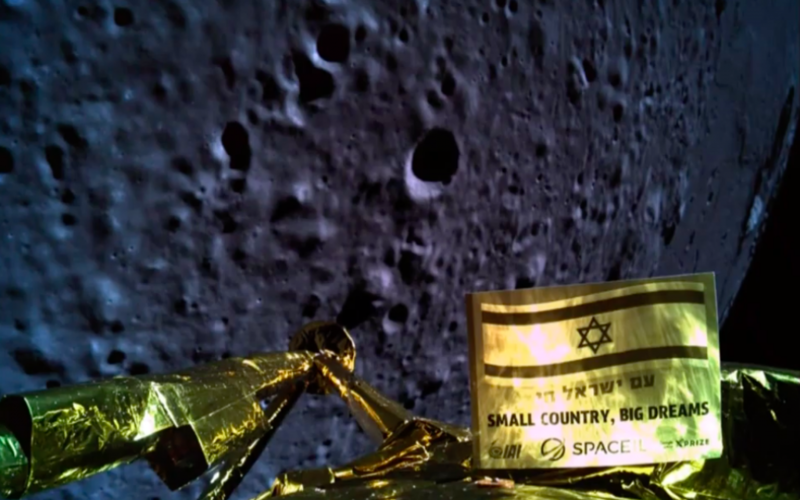 I tried to explain to Yisrael just why I have loved writing about this little craft hurtling through space, learning about the intricacies of elliptical orbits and the pull of lunar gravity and the growing problem of space trash. But I also found myself struggling to find the words. Can you put a monetary value on inspiration? Is it cost-effective to convince a young girl that she can be a space engineer when she grows up? 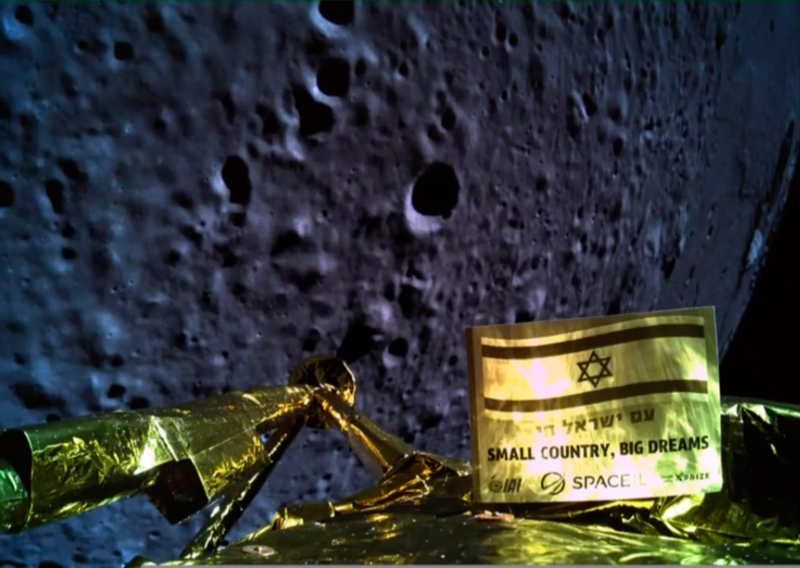 At the end, I could only say to Yisrael, can you imagine a more beautiful thing than a group of friends believing that they can send something to the moon? Can you put a price tag on beauty? 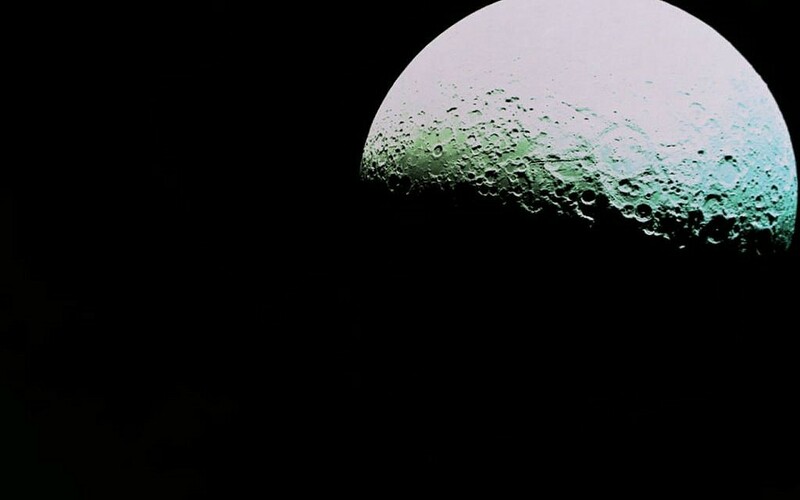 In the moments after Friedman’s announcement, after the screen that was showing the position of the spacecraft reverted to the background of someone’s desktop computer, it didn’t feel real that Beresheet had crashed. It’s strange to lose something you’ve never touched. What does it mean to fail? 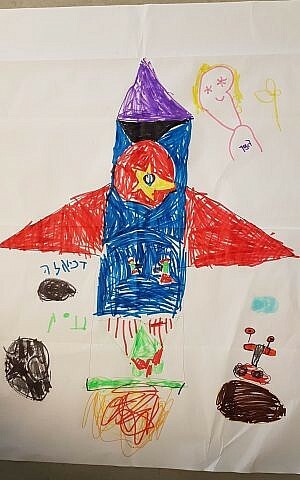 Space is hard, Hayun said to me, with a sigh and a shrug of his shoulders, just moments after the spacecraft crashed. Cameras were already in his face, waiting to ask how he felt, what it was like to lose the project he had worked so hard to build. Space is hard. Perhaps the lesson we should take from Beresheet is not the fact that it failed, but the fact that we tried at all. 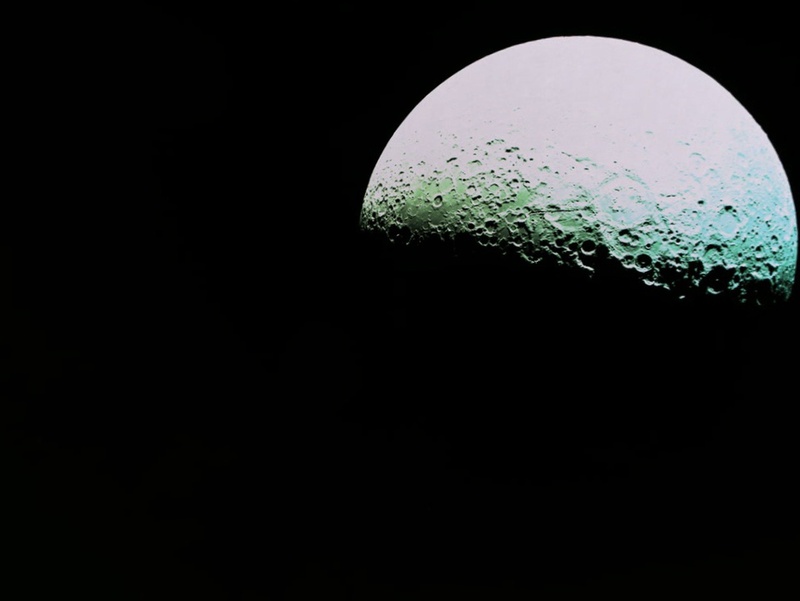 That for a moment, we widened our horizons beyond our tiny lives, expanding the diameter of our world to a point 400,000 kilometers (250,000 miles) away, joining with millions of people to follow the trajectory of a crazy dream. Have you looked at the sky today? Palestinian President Mahmoud Abbas has slammed Hamas, saying it is being “oppressive” in its crackdown on protesters in the Gaza Strip. The movement has used excessive force to disperse protesters as part of “We Want to Live” rallies held against price hikes and the dire economic situation in the Palestinian enclave. Abbas told Atef Abu Seif, the Fatah spokesman in Gaza and member of its central committee, in a phone call that he has honored his country. Fatah has accused Hamas of Abu Seif’s assassination attempt after he was kidnapped by unidentified gunmen and suffered multiple bone fractures around his body. He is reported to be in serious condition. Abu Seif is among dozens of activists and journalists, who were severely beaten during demonstrations or arrests. Hamas detained about 1,000 people in just a few days, dispersed more than 25 rallies with live fire and pursued activists in their homes and on the streets. “We Want to Live” movement announced a two-day civil disobedience and public strike on Thursday, calling on people to perform Friday prayers in public squares and reject accusations by Hamas preachers against protesters. It stressed that its peaceful protests will continue until Hamas’ government in Gaza meets the people’s legitimate demands. The movement also called on the families of the detainees, the oppressed and the wounded to perform Friday prayers near the house of Hamas leader Ismail Haniyeh. 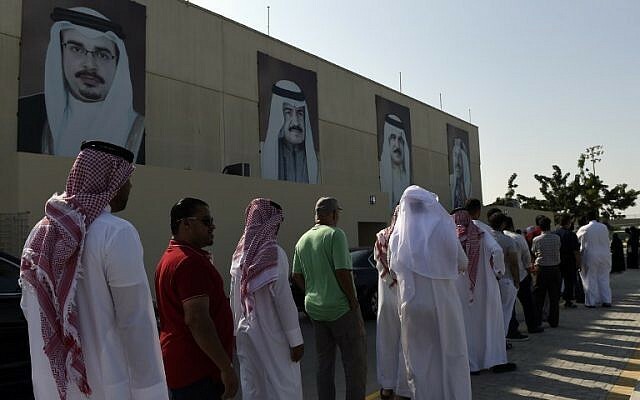 It urged them to demand the immediate release of their loved-ones, holding accountable those who ordered the imprisonment and torture of protesters and taking to court those who caused casualties in the rank of demonstrators. Israel is working to normalize ties with Bahrain, as Jerusalem ramps up its drive to forge more open relations with the Arab world amid shifting alliances in the Middle East driven by shared concerns over Iran, Hebrew-language news sites reported late Sunday. The reports, sourced to an unnamed senior official, did not detail Israel’s efforts to get closer to Manama, but came hours after Prime Minister Benjamin Netanyahu hinted he would soon travel to unspecified Arab states, during a press conference with visiting Chadian leader Idriss Déby Sunday. Déby’s historic visit is part of a campaign to lay the groundwork for normalizing ties with Muslim-majority countries Sudan, Mali and Niger, according to a report on Israel’s Channel 10 news Sunday. The revelation that Israel is actively working to forge closer ties with Bahrain comes as Saudi Crown Prince Mohammed Bin Salman is visiting the island kingdom. The prince, who is attempting to rehabilitate his image in the West after the killing of writer Jamal Khashoggi, is seen as a key part of a US-backed drive for Gulf states to open their doors to Israel amid shared concern over Iran’s expansion in the region. In May, Bahrain Foreign Minister Khalid bin Ahmed Al Khalifa wrote on Twitter that Israel has the right to defend itself against Iran. 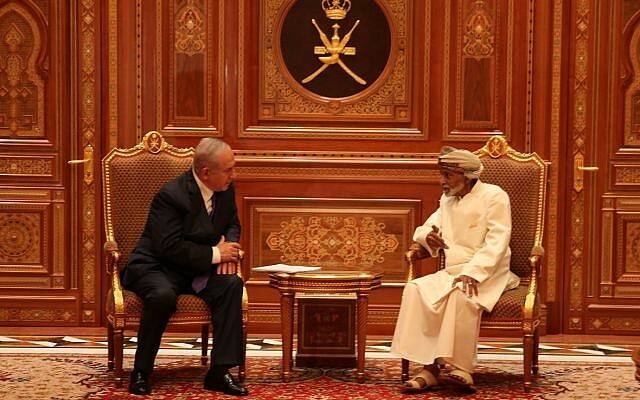 Oman, which has often played the role of regional mediator, welcomed Netanyahu in a surprise visit last month, an apparent sign of Israeli progress in improving ties with Gulf countries. At a security conference in Bahrain following the visit, Omani foreign minister also offered rare words of support for the Jewish state. “Israel is a state present in the region, and we all understand this. The world is also aware of this fact and maybe it is time for Israel to be treated the same and also bear the same obligations,” Yussef bin Alawi bin Abdullah said, according to Reuters. During a press conference with Déby on Sunday, Netanyahu remarked that “there will be more such visits in Arab countries very soon,” without providing details. The Israeli premier has for years spoken about the warming ties between Israel and the Arab world, citing not only Iran as a common enemy but also many countries’ interest in cooperating with Israel on security and defense matters, as well as Israel’s growing high-tech industry. The effort to forge ties with Sudan comes as Khartoum has looked to move closer to Sunni Gulf states after years as an ally of Iran. In early 2017, Khartoum joined Sunni Bahrain and Saudi Arabia in severing its ties with the Islamic Republic. At the time, the country also appeared to make overtures toward Israel. Foreign Minister Ibrahim Ghandour said in a 2016 interview that Sudan was open to the idea of normalizing ties with Israel in exchange for lifting US sanctions on Khartoum. 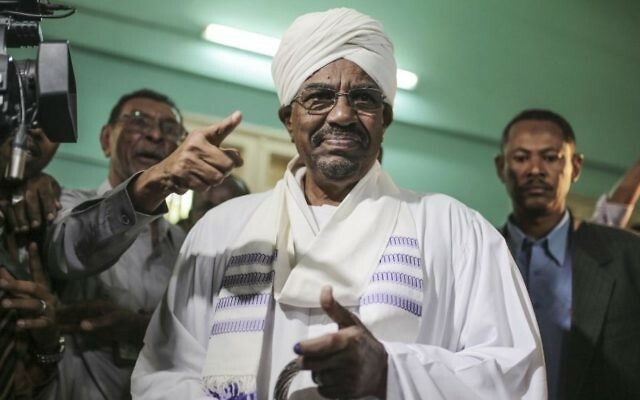 According to Hebrew-language media reports at the time, Israeli diplomats tried to drum up support for Sudan in the international community after it severed its ties to Tehran. In the past, Sudan has allegedly served as a way-station for the transfer of Iranian weapons to the Hamas terrorist group in Gaza. Israel has reportedly intercepted and destroyed transfers of weapons from Sudan bound for Gaza. In 2009, the International Criminal Court also issued an arrest warrant for Sudanese President Omar al-Bashir for genocide, war crimes, and crimes against humanity, relating to the bloody conflict in the western Darfur region. However, since it broke ties with Iran, Sudan is no longer perceived by Israel as a threat, but rather as a potential ally. Earlier on Sunday, Déby became the first president of Chad to visit Israel and pledged a new era of relations when meeting Netanyahu, 46 years after ties were severed. Chad, a Muslim-majority, Arabic-speaking country in central Africa, broke off relations with Israel in 1972. Despite the lack of formal ties, both Déby and Netanyahu on Sunday stressed the centrality of security cooperation between the two countries. 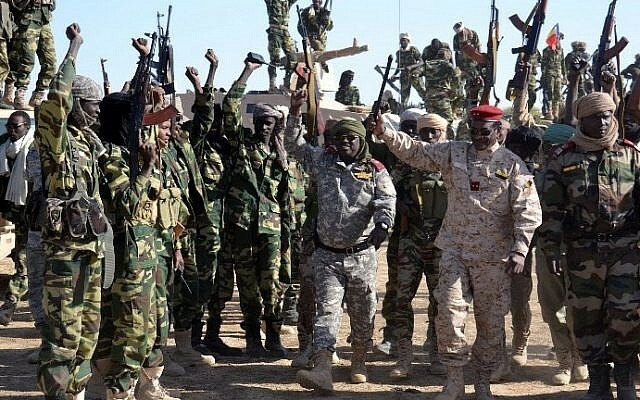 Chad is also one of several African states engaged in Western-backed operations against Boko Haram and Islamic State jihadists in West Africa. Earlier this month, the US donated military vehicles and boats worth $1.3 million to Chad as part of the campaign against Islamist militancy in the country. Under Déby, Chad’s government has been accused of widespread human rights abuses and rigged elections. He took over the arid, impoverished nation in 1990 and won a disputed fifth term in April 2016. On Sunday, Chadian security sources were quoted by Reuters saying that Israel had sent Chad arms and money earlier this year to help the country in its fight against Islamist groups. Netanyahu in his remarks to journalists thanked Déby for his visit and hailed “flourishing” ties between Israel and African nations. He declined questions about whether the two leaders discussed potential Israeli arms sales to Chad. Netanyahu portrayed the unprecedented visit as the result of his hard-won diplomatic efforts, referring to his three visits to Africa over the last couple years and his surprise trip to Oman in October. According to Israel’s Channel 10, Israel’s diplomatic push in Africa is driven in part by a desire to ease air travel to Latin America. Flying in the airspace of traditionally hostile African countries — namely Chad and Sudan — would allow airlines to offer faster, more direct flights between Israel and the continent. Channel 10 estimated that flying directly from Israel to Brazil over Sudan would shave some four hours off the average journey, which currently takes at least 17 hours, and requires a stopover in either Europe or North America. Separately, Hadashot television news reported on Sunday that Netanyahu has secured reassurances from Oman that airlines flying to and from Israel — including national carrier El Al — would be permitted to fly over the kingdom’s airspace. The prime minister received this message during his surprise visit to Muscat last month — the first by an Israeli leader in over 20 years, the television report said. 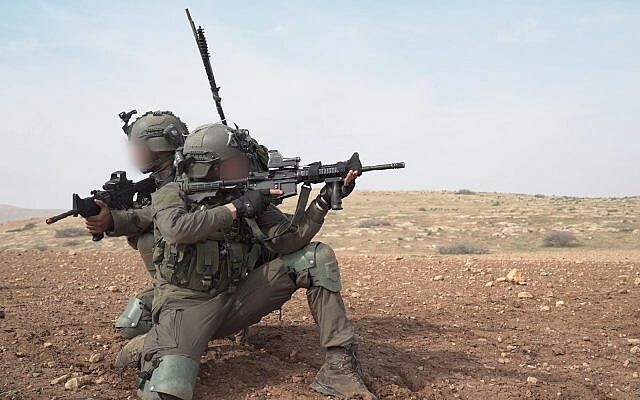 The Israeli military’s Commando Brigade launched a large-scale exercise this week to practice fighting the Hamas terror group in the Gaza Strip and the Hezbollah terrorist militia in Lebanon simultaneously, the army said Saturday. The drill is continuing into this week. 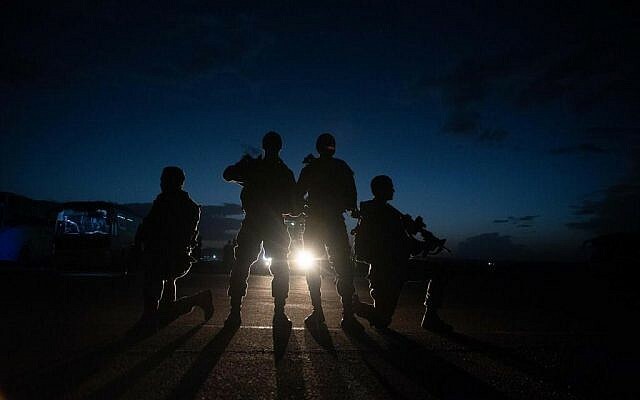 In the past, Israeli defense analysts have speculated that concerns over the prospect of a two-front war prevented the military from launching a major campaign in the Gaza Strip in response to rocket fire from the coastal enclave. 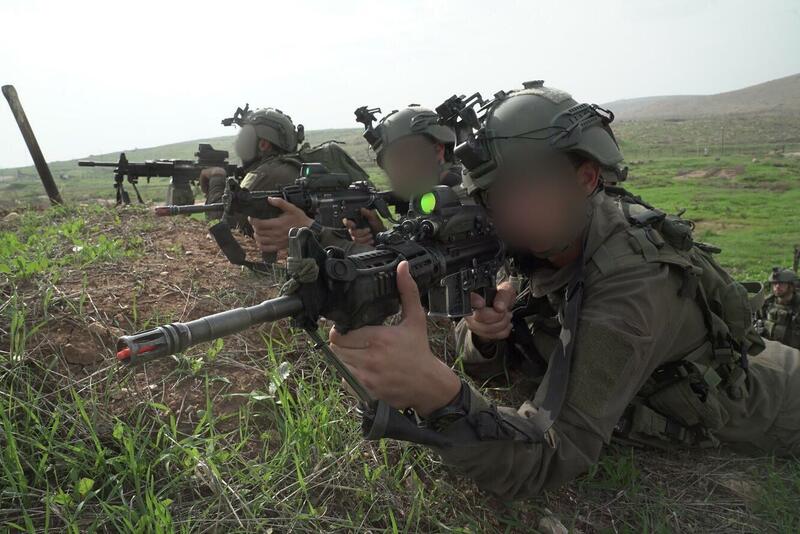 The exercise, and the Israel Defense Forces’ publicity of it, appeared to serve as a message to the two terrorist groups that Israel was prepared for such an eventuality. According to the military, the commando exercise began earlier this week and was expected to last 10 days. Soldiers from the Maglan, Egoz, and Duvdevan units took part in the drill. 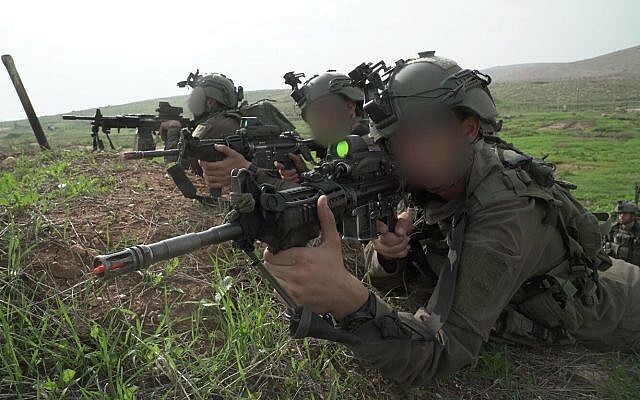 It included significant cooperation with the Israeli Air Force, which both transported the commandos and carried out airstrikes alongside them. “During the exercise, the brigade practiced fighting between different landscapes and arenas, combat in open fields and urban combat,” the army said. The military said the purpose of the exercise was to improve the commando brigade’s preparedness for war. It was the unit’s sixth brigade-wide exercise since it was created in December 2015. 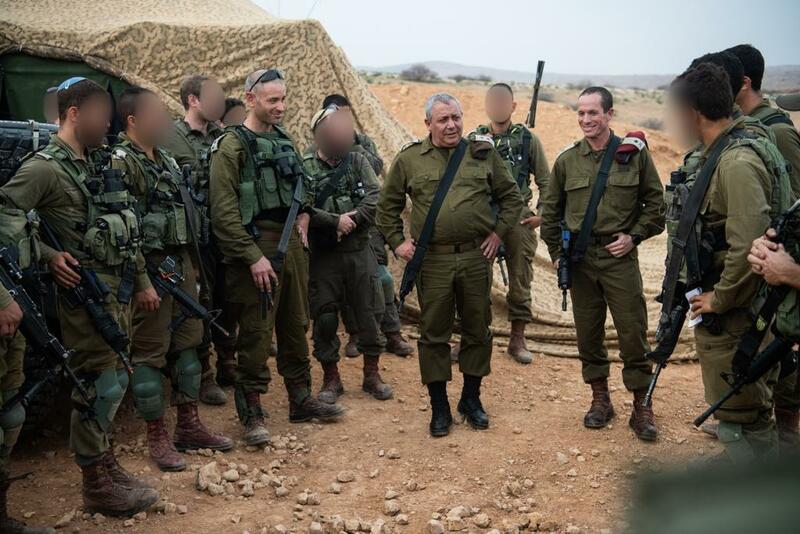 IDF Chief of Staff Gadi Eisenkot observed the exercise earlier this week. 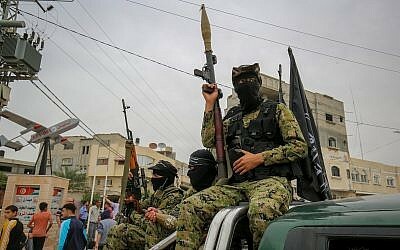 The Gaza-ruling Hamas terror group, which calls for the destruction of the State of Israel, is believed to possess an arsenal of some 10,000 rockets and mortar shells. 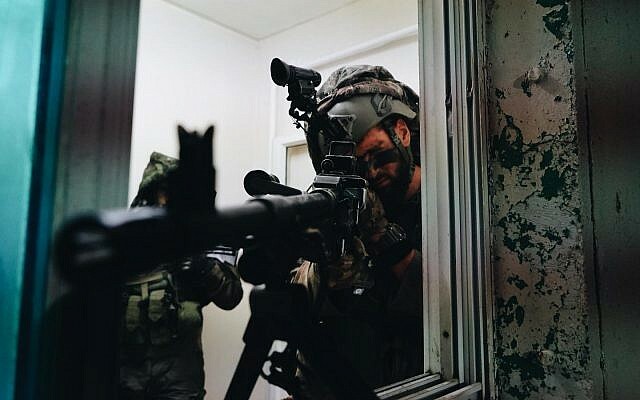 Israel has fought three wars with the terror group in the past decade, and has repeatedly been on the verge of a fourth over the past eight months as Hamas has led a campaign of border violence and occasional rocket and mortar fire at southern Israel. 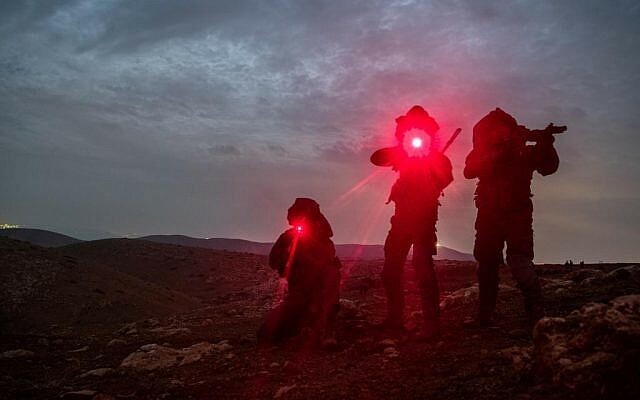 Earlier this month, the terror group, partnering with the Iran-backed Palestinian Islamic Jihad, launched some 500 rockets and mortar shells at Israel, killing one person and injuring dozens more. 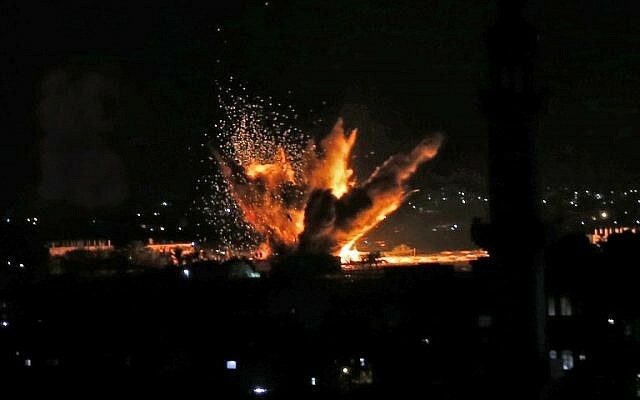 In response, the Israeli military launched strikes against some 160 targets in the Gaza Strip connected to the two terror groups, killing seven people, most of whom were later identified as members of terrorist organizations, including some who were in the process of launching projectiles at Israel at the time they were killed. However, the IDF does not see Hamas as a serious military threat. 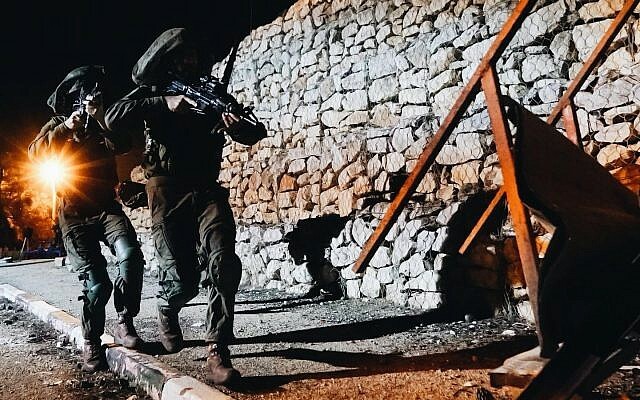 Rather, the terror group is effectively allowed to remain in power as the Israeli government fears an even more extremist organization could take its place were it to be defeated. The Iran-backed, Lebanon-based Hezbollah terrorist army, however, is considered by the military to be a significant strategic threat. With over 100,000 rockets and missiles in its arsenal, Hezbollah is seen by some defense analysts as more powerful than some Western militaries. Israel fought a 34-day war with the terror group in Lebanon in 2006. 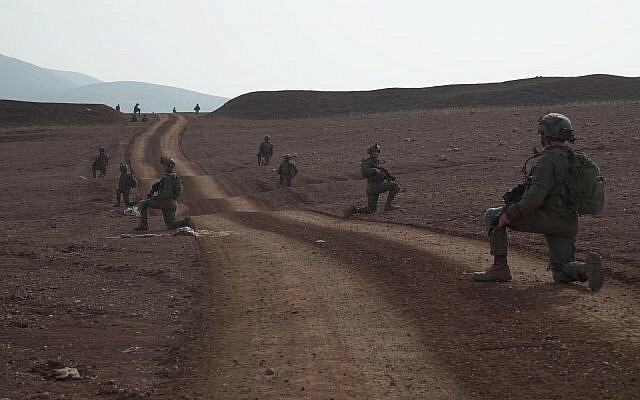 Since then, the Lebanese border has been quieter than in the years preceding the conflict. 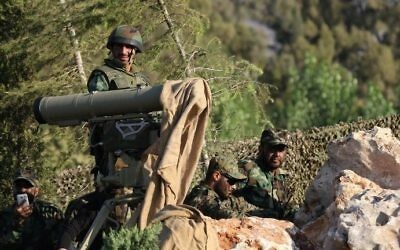 However, Hezbollah has used the time to build up its arsenals considerably, with more precise and dangerous munitions, and has gained considerable experience and training by fighting alongside the Russian and Syrian militaries in the Syrian civil war in support of dictator Bashar Assad. I have to preference the fact of the title with the statement that I have never personally met Israel’s Prime Minister, Mr. Netanyahu. When I say “a fan” I simply mean that I have been in favor of him being the Prime Minister of Israel since he first became Prime Minister in 1996. I do not claim to know everything that he has done, both good or bad, I can only go by the different things I have read of him and what I have seen and heard on the T.V.. I know that the Leaders of any Nation are required to make decisions all of the time and I know that no matter what a Leader decides there are going to be factions within their own government and within the general population that are going to be mad at them if the Leader didn’t do exactly what that faction was wanting done. To me it would seem that one of the most difficult Nations on Earth to be the Leader of, would be Israel. Yet I do believe that Mr. Netanyahu does love the Nation of Israel with all his heart but I do believe that these most recent military related mistakes are going to be the end of him being the Nations Prime Minister. For the readers who are not aware of it, the Nation of Israel usually always has a government by coalition. This simply means that during one of their elections if the Party with the most votes does not have at least 50% then they have to get some of the other political parties to join with them to help form a government. When any of the secondary ruling Parties gets mad about what the Prime Minister does or is doing, they can remove themselves from the Ruling Coalition. Sometimes, like now, a secondary Party called Jewish Home is saying that they are going to leave, if they do this the Government will fall and a new election will be called. 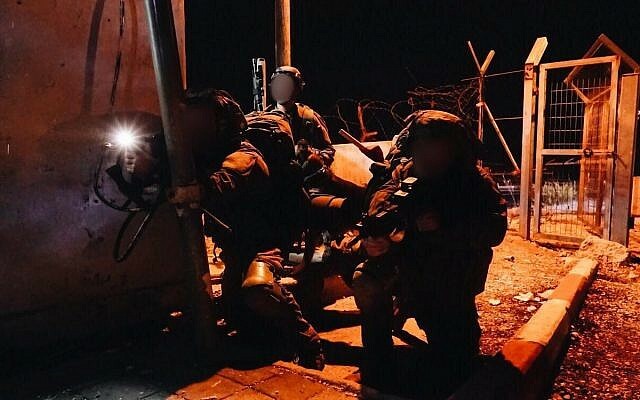 After the failed IDF mission in Gaza a few nights ago and the Truce the Prime Minister accepted with Hamas after Hamas had retaliated by firing about 500 Rockets into southern Israel, Israel’s Minister of Defense Mr. Liberman resigned. Mr. Liberman was very upset that the Prime Minister did not retaliate with a mass bombing on Hamas targets in Gaza. Instead Israel did bomb a couple of empty Hamas buildings in Southern Gaza. The reason that Israel is headed toward a new election is not because of the resignation of Mr. Liberman, it is the leaders of the Jewish Home party blackmailing the Prime Minister. The blackmail is simple, they are telling the Prime Minister that if he does not appoint a man from the Jewish Home Party to the post of Defense Minister, they leave. Evidently Mr. Netanyahu is refusing to do this. I would think that within a few days we will all see how this shakes out. Personally, I believe that Mr. Netanyahu made a huge mistake by not retaliating against Hamas much stronger than he did, the PM really let down the people of southern Israel in this event, it may end up being his last mistake as Israel’s Prime Minister. 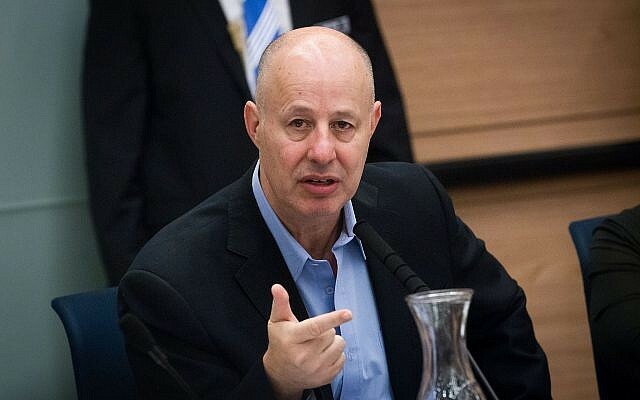 Senior Likud cabinet minister Tzachi Hanegbi on Thursday drew widespread condemnation, including from Prime Minister Benjamin Netanyahu, for calling the barrage of rockets fired at Israel earlier this week “minor” and “measured” because the Gaza terrorist groups did not target Tel Aviv. 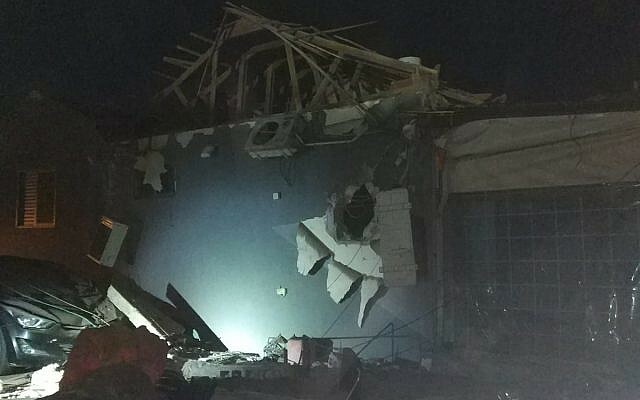 The Hamas rocket fire was minor, and mostly concentrated around the southern Israeli Gaza-adjacent area, Hanegbi told Army Radio in an interview Thursday morning. While the suffering of Israelis in the areas close to Gaza was “a nightmare” and “not negligible,” he said, had Hamas fired at Tel Aviv or Ben Gurion Airport, it would have been a different story. According to the military, over 460 rockets and mortar shells were fired at southern Israel on Monday and Tuesday — more than twice the rate at which they were launched during the 2014 war. 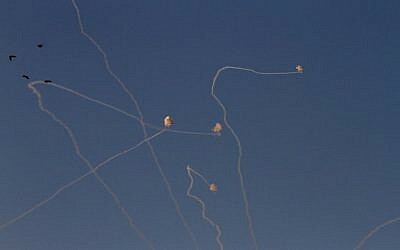 The Iron Dome missile defense system intercepted over 100 of them. Most of the rest landed in open fields, but dozens landed inside southern Israeli cities and towns, killing a Palestinian man in Ashkelon, injuring dozens, and causing significant property damage. 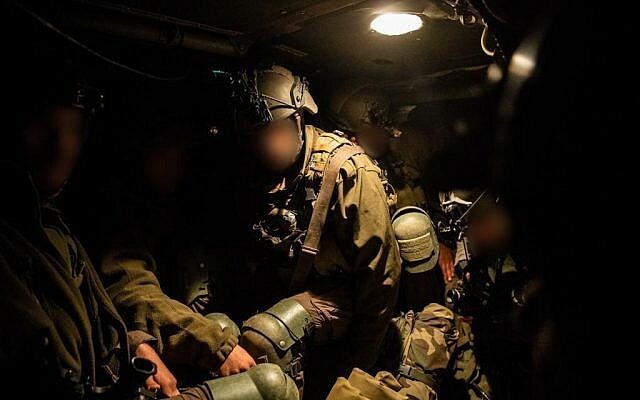 The flare up was triggered by an Israeli raid into Gaza that went awry on Sunday, and set off clashes resulting in the deaths of seven Palestinian fighters, including a local Hamas commander, and a senior Israeli military officer. Israel and Hamas have since reached an informal ceasefire agreement to end the fighting. The truce prompted Defense Minister Avigdor Liberman to resign on Wednesday and has drawn criticism from some residents of southern Israel who accuse the government of being soft on Hamas. He said most ministers shared the view of the entire security establishment, and of the prime minister, that now was not the appropriate moment for a major operation, when the same result could be achieved at a low price. Hanegbi’s remarks, seen as an effort to shelter Netanyahu from growing criticism over his handling of the two days of heavy fighting in Gaza, were quickly condemned by lawmakers from both sides of the aisle. Fellow Likud Minister Miri Regev tweeted that Hanegbi’s remarks were “inappropriate,” although she also indicated that she opposed Netanyahu’s decision to accept a ceasefire. Opposition leaders also slammed Hanegbi, with Zionist Union chairman Avi Gabbay accusing the Netanyahu government of discriminating against its own citizens. In the radio interview, Hanegbi also weighed in on Liberman’s abrupt resignation in protest of Netanyahu’s decision to accept an Egypt-brokered ceasefire that brought an end to the violence. He slammed fellow minister and Jewish Home party leader Naftali Bennett for threatening to withdraw from the coalition unless he was given the defense portfolio in the wake of Liberman’s departure. “Being appointed a senior position by issuing a violent dictate to the prime minister goes against the concept of a coalition partnership,” he said. Hangebi said that while he believed himself to be “more suitable for the job than others,” Netanyahu would most likely keep the defense portfolio for himself. “From what I know about the prime minister, he does not like to give up [control],” he told the radio station. 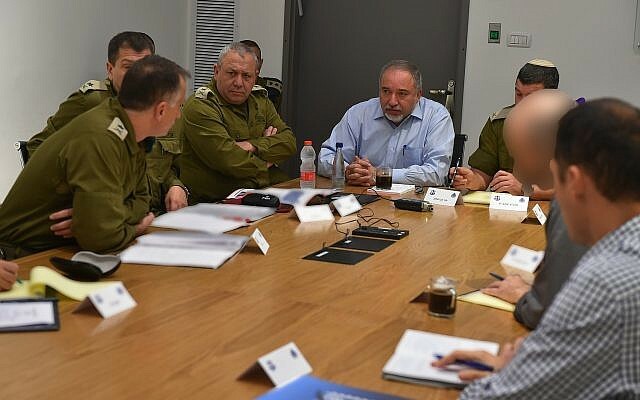 Earlier on Thursday, Liberman officially tendered his resignation, and was holding his final meetings at the defense headquarters in Tel Aviv. Liberman’s Yisrael Beytenu party is also quitting Netanyahu’s coalition, leaving the premier with only a two-seat advantage over the opposition in parliament and throwing his government into turmoil. A Likud official said Wednesday Netanyahu would take charge of Liberman’s portfolio at least temporarily, and said the prime minister had begun consultations with heads of parties in order to stabilize his coalition. Hundreds of people were demonstrating Tuesday evening at the entrance to the town of Sderot over Israel’s reported agreement for a ceasefire with Gaza’s Hamas terrorist rulers, after a 25-hour period that saw over 460 rockets fired at Israeli communities near the Palestinian enclave. Protesters were blocking roads and burning tires, with some chanting, “Bibi go home,” using a nickname for Prime Minister Benjamin Netanyahu. Confrontations were reported between protesters and policemen. Some 500 people were reported to be taking part in the protest. 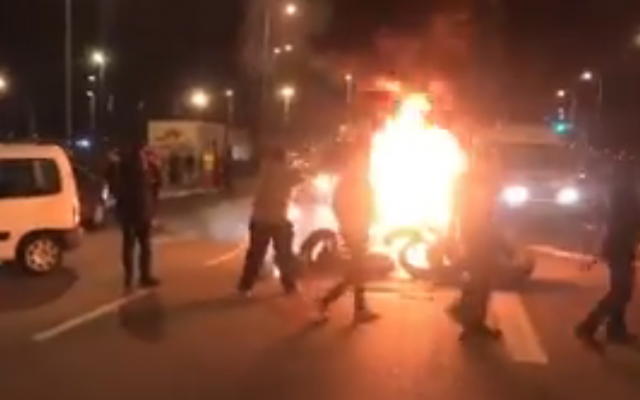 According to Hadashot TV news, some southern residents planned further demonstrations and road blockages in Tel Aviv on Wednesday to protest the truce. Zionist Union leader Avi Gabbay expressed support for the protesters, saying it was a “justified” response to the government “forsaking” them. He said the government had failed the south by “neglecting” the issue of Gaza since the 2014 war. Hamas and other Gaza terror groups said Tuesday they had accepted an Egyptian-mediated ceasefire with Israel. Terms of the deal were not immediately known, and there was no immediate comment from Israel. But a senior Israeli diplomatic official appeared to confirm the reported armistice. “Israel maintains its right to act. Requests from Hamas for a ceasefire came through four different mediators. Israel responded that the events on the ground will decide [if a ceasefire will go into effect],” the official said, on condition of anonymity. Many southern residents were unhappy with the decision. Channel 10 news reported Tuesday evening that at least four senior ministers opposed the decision. The report said Defense Minister Avigdor Liberman, Justice Minister Ayelet Shaked, Environmental Protection Minister Ze’ev Elkin, and Education Minister Naftali Bennett proposed an alternative response, but it was rejected by the other ministers. An unnamed minister who attended the seven-hour meeting Tuesday told the news outlet that no vote was held to determine the next steps. A source with direct knowledge of the discussions confirmed to the Times of Israel there was no vote. The source confirmed there were several disagreements between cabinet members, some of which were the focus of debate for a number of hours. They would not comment on the content of the disagreements. 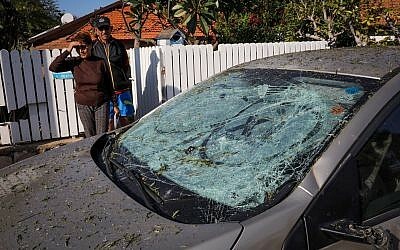 According to the military, over 460 rockets and mortar shells were fired at southern Israel over the course of 25 hours on Monday and Tuesday. 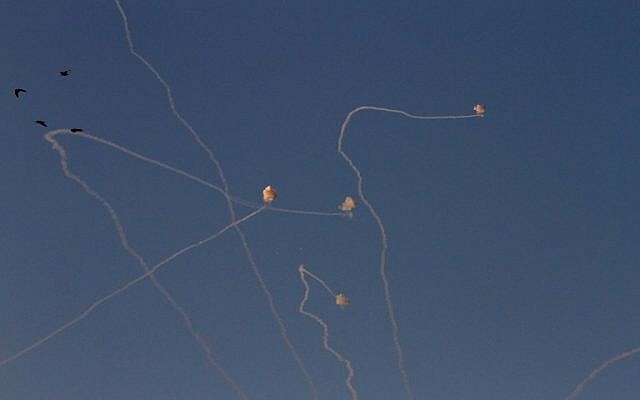 The Iron Dome missile defense system intercepted over 100 of them. Most of the rest landed in open fields, but dozens landed inside Israeli cities and towns, killing one person, injuring dozens more, and causing significant property damage. 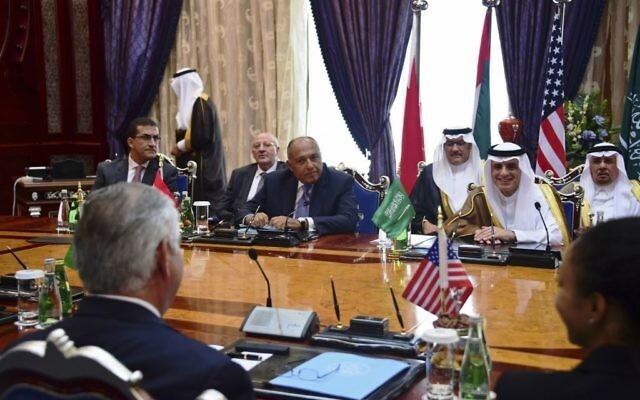 In recent weeks, Egyptian and UN mediators had appeared to be making progress in brokering informal understandings aimed at quieting the situation. Last week, Israel allowed Qatar to deliver $15 million to Gaza to allow cash-strapped Hamas to pay the salaries of thousands of government workers. At the same time, Hamas has lowered the intensity of violent border protests in recent weeks. Yisrael Beytenu chairman Avigdor Liberman announced Wednesday that he would be resigning as defense minister and called for the government to be dismantled and for new elections to be set. “I am here to announce my resignation from the government,” he said at a hastily organized press conference at the Knesset after a Yisrael Beytenu party meeting, during which he told MKs of his decision. Liberman said his decision came in light of the ceasefire reportedly agreed on Tuesday between Israel and Palestinian terror groups in Gaza following an unprecedentedly fierce two-day barrage of over 400 rockets fired by Hamas and other terror groups toward Israel. A day earlier, Liberman and other ministers severely criticized Prime Minister Benjamin Netanyahu over the decision. “What happened yesterday, the ceasefire, together with the deal with Hamas, is a capitulation to terror. There is no other way of explaining it,” he told reporters on Wednesday. “What we are doing right now is buying quiet for a heavy price with no long-term plan to reduce violence toward us,” he said of the deal, which wasn’t officially confirmed by Israeli officials. He also slammed the military’s response to the rocket fire. “To put it lightly, our response was drastically lacking to the 500 rockets fired at us,” he said. Liberman also directly criticized Netanyahu, saying he “fundamentally disagreed with him” on a number of key issues, including the government’s allowing $15 million to be transferred in cash from the Qatari government to Hamas on Friday. “I opposed it. The prime minister needed to write an executive order for it to go above my head,” Liberman claimed, saying that the money went first to the families of Hamas members killed on the Gaza border in clashes with the IDF and then to funding for rockets to fire at Israel. Liberman concluded his prepared statement by calling for elections to be held “at the soonest possible date.” During a subsequent question-and-answer session he predicted that right-wing voters would “see through the other parties’ hypocrisy” and reward his Yisrael Beytenu party with 20 Knesset seats. 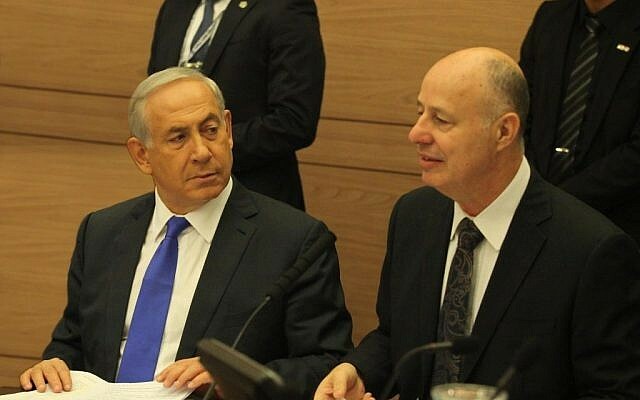 A Likud source said in response that there was “no need to go to elections at this time of sensitive security,” despite the coalition losing five seats with Yisrael Beytenu’s expected exit. After Yisrael Beytenu’s pull out, the coalition will hold a paper-thin majority in the 120-seat Knesset. New elections must be held by within the coming 12 months. The Jewish Home party, however, is expected to demand the position of defense minister for its leader, Education Minister Naftali Bennett. Liberman has clashed frequently with Bennett, whose religious-nationalist party will compete with Liberman’s secular right-wing Yisrael Beytenu over the votes of many hawkish Israelis in the upcoming Knesset elections. The two men have traded barbs repeatedly in recent weeks, with Bennett accusing Liberman of being soft on Gaza and Liberman replying in kind, while also asserting that policy decisions regarding the ongoing violence emanating from the Strip were made by the ministers in the high-level security cabinet rather than his office. Earlier Wednesday, Netanyahu defended his decision to accept a ceasefire with terror groups in Gaza after the worst escalation in violence in the Strip since 2014. “In times of emergency, when making decisions crucial to security, the public can’t always be privy to the considerations that must be hidden from the enemy,” he said at a ceremony in honor of Israel’s first prime minister David Ben-Gurion. “Our enemies begged for a ceasefire and they knew very well why,” he added. The deal has provoked criticism from within Netanyahu’s government as well as from Israelis who live near the Gaza Strip and want further action against Hamas, the terror group that rules the enclave. Sources close to the defense minister told Haaretz that he was “incensed” by a briefing in which Netanyahu appeared to indicate that Liberman supported the reported ceasefire. The security cabinet reportedly agreed to the ceasefire with Hamas on Tuesday afternoon, in a decision that several cabinet ministers later said they opposed. 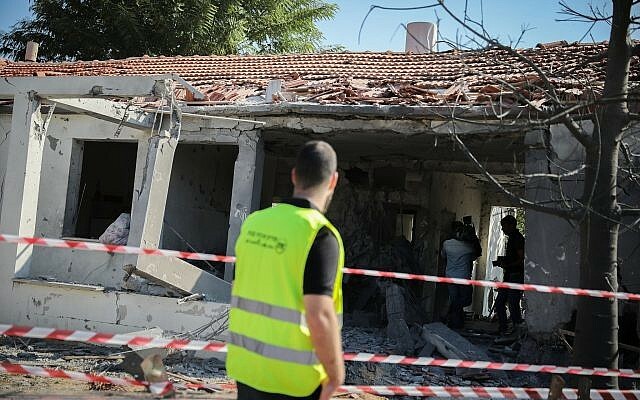 The decision was slammed by some opposition leaders, who called it a capitulation to terror after a deadly two-day conflagration that saw over 400 rockets and mortar shells fired at southern Israel. 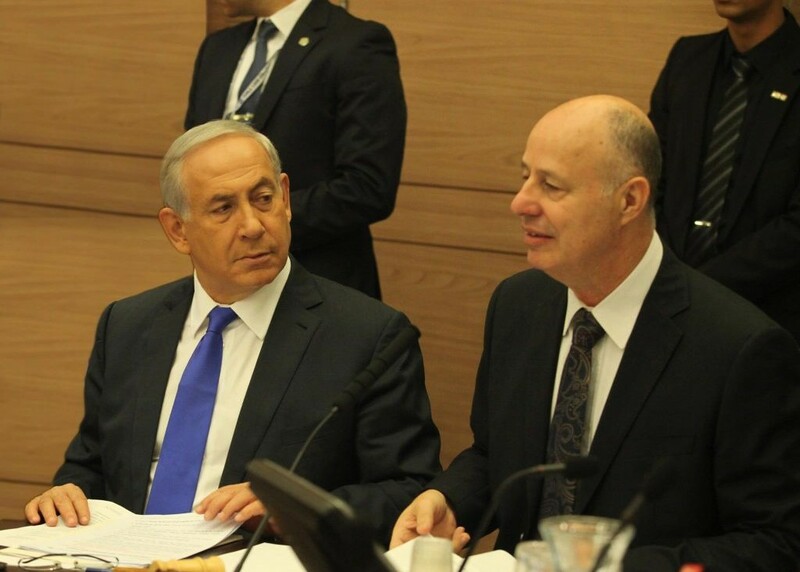 Channel 10 reported that at least four senior ministers who attended the cabinet meeting opposed the decision, which was made by Netanyahu without a vote. But Housing Minister Yoav Gallant, who was at the meeting, said the ministers all accepted the decision. The ceasefire was hailed by Hamas as a victory ostensibly imposed on Israel on Hamas’s terms. Rocket fire at Israel came to a halt on Tuesday afternoon, after two days of incessant attacks. Liberman, Justice Minister Ayelet Shaked, Environmental Protection Minister Ze’ev Elkin, and Education Minister Naftali Bennett proposed an alternative response, but it was rejected by the other ministers at the meeting, according to Channel 10. An unnamed minister who attended the seven-hour meeting Tuesday told the outlet that no vote had been held to determine the next steps. A source with direct knowledge of the discussions confirmed to The Times of Israel that no vote took place. The source said there were several disagreements between cabinet members, some of which were the focus of debate for “a number of hours.” The source would not, however, comment on the content of the disagreements.